6201 Princess Elizabeth & 76079, 1Z17, Charnock, 15 March 2008 - 1626 The very rare sight of a Pacific double-heading another steam loco on the main line. 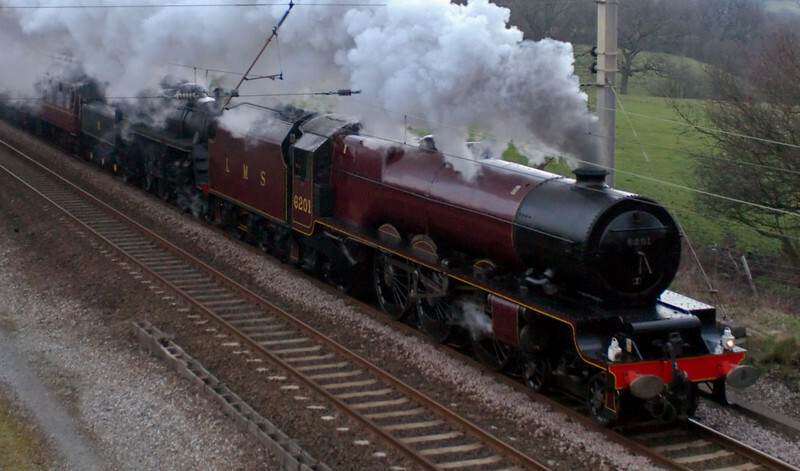 6201 had been at Carnforth Steamtown since working the 'Pennine Limited' on 23 February. It used the 'Cotton Mill Express' as a positioning move to return to the ELR, though as a result the CME had to run from Preston to Manchester via Wigan rather than Bolton as booked to avoid gauging problems.